BROADWAY BOUND BUS TRIPS- UPDATE! Deadlines are approaching this week for Trips 1, 2 and 3! RESERVE YOUR SPOT TODAY! 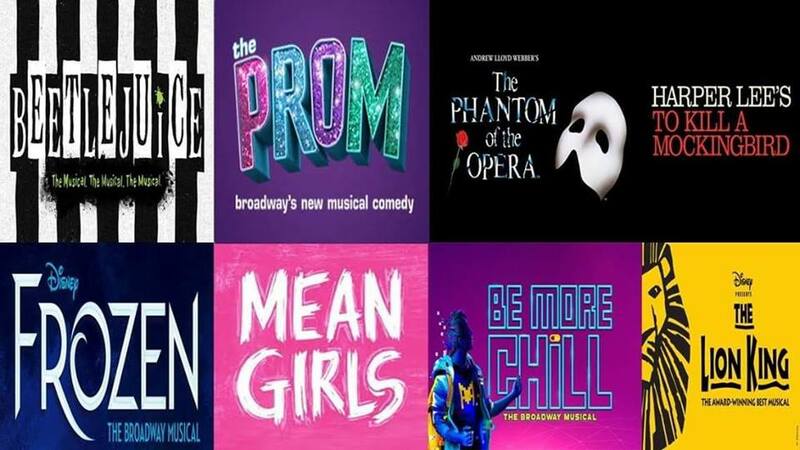 Join CaPAA as we present FOUR opportunities to head to New York City and Broadway shows! Our bus trips are now on sale to the general public! Reserve your spot today! *Reservations can be made by visiting www.showtix4u.com. Search CaPAA then scroll to find the trip you are looking to go on. Once in the menu for your trip, you will be asked to pay a “Deposit,” the deposit is the price of the show ticket and the remaining balance covers the cost to run the trip. All shows are Saturday matinees- leave Ritz Theater by 8:30 am, leaves time for lunch, 2 pm show, have a little time after the show and then back to Scranton. We have 12 seats left for this show!